When it is time to upgrade from your sedan to something with more interior cargo and passenger space the obvious choice is an attractive and accommodating SUV. 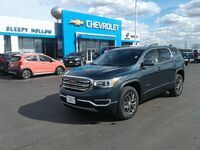 Two of the most stylish and sophisticated SUVs on the market today are the 2019 GMC Acadia and 2019 Honda Pilot. Both of these SUVs have powerful and efficient engines under the hood along with comfortable and connected cabins. Deciding between the 2019 GMC Acadia and the 2019 Honda Pilot can be difficult and that is why we have broken down their key specs and features for you right here below. The standard engine of the 2019 GMC Acadia is a 2.5L Inline 4-Cylinder that supplies it with 193 horsepower and 188 lb-ft of torque. The 2019 Honda Pilot does not offer another engine option other than its standard 3.5L V6. The fuel economy ratings listed above are indicative of the base trim level in Front-Wheel Drive while All-Wheel Drive (AWD) is available for all trim levels for both the 2019 Acadia and Pilot. 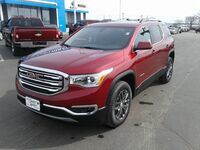 The 2019 GMC Acadia has standard seating for seven people while the 2019 Honda Pilot has seating for eight but the 2019 Acadia provides passengers with more front-row headroom and legroom than the 2019 Pilot does. The second and third-row seats of the 2019 GMC Acadia and 2019 Honda Pilot have flex-folding capability for optimal cargo and passenger convenience. 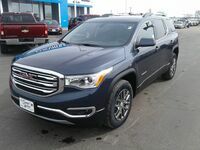 All passengers will appreciate the large color touchscreen displays that come standard in the 2019 GMC Acadia and the 2019 Pilot but the standard screen of the Acadia measures 7” while the Pilot’s is only 5”. An 8” color touchscreen is available on the upper trim levels of both the 2019 GMC Acadia and Honda Pilot. The 2019 GMC Acadia also offers six trim levels while the 2019 Honda Pilot only has five. The extra trim level of the 2019 Acadia makes it easier and more affordable to find the interior features that you want without going over your budget. 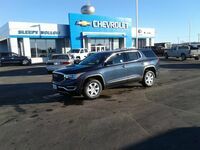 You can take the 2019 GMC Acadia for a test drive today at Sleepy Hollow Auto in Viroqua, WI to experience everything that it has to offer firsthand. 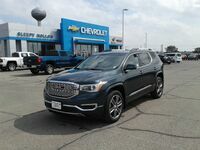 Interested in a 2019 GMC Acadia?